As people have been asking for a comprehensive buying guide to the Raspberry Pi, we have put this unofficial one together. We hope it is helpful! Please do add any comments or suggestions to help us improve it. You have probably come to this post because you would like to get started with the Raspberry Pi, but you are not sure what equipment you will need. This page will help you to ensure you have all the necessary components, whether you are purchasing a starter kit, or collecting items individually. If you are a newcomer to computer progamming, some parts of this guide may seem intimidating, but don't be alarmed: just take each item one at a time and you will soon have everything you need! Please note: you should only need one item from each section. 1) First you need the Raspberry Pi itself. All models (except the zero, zero-w) can be purchased either through Premier Farnell/Element 14 or RS Components/Allied Electronics, or through third-party resellers. Alternatively, you might have one of the older A or B models. 2) Next, you need a micro USB wall adapter. This PSU says it is rated at 5v 700 mA, so it will should provide enough power for the Raspberry Pi model 1, and probably model 2. Be aware that 5v 0.7A is the exact same thing as 5v 700mA. 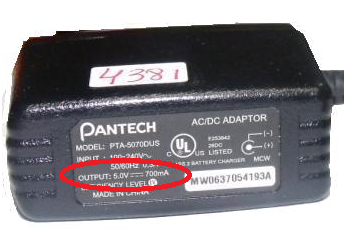 Please also note that, while the PSU must be rated at 5V (plus/minus 5%) the mA can be any number that is equal to or larger than 700 mA (0.7A). Use a somewhat more powerful adapter for PI model 3's, 2A or more especially if you use GPU intensive applications. 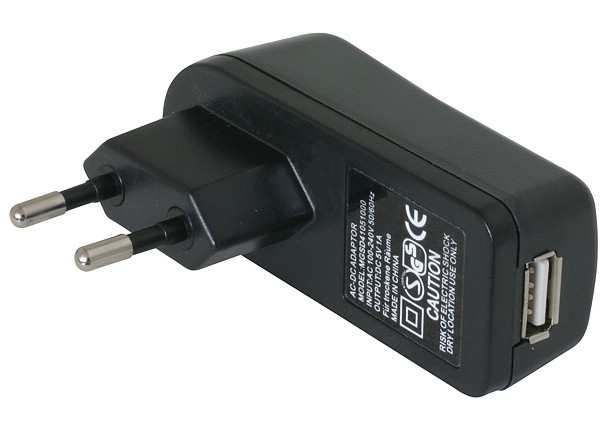 Alternatively, you could use a USB AC Adapter like the one shown below. Note the quality of this cable is very important: many power problems are due to cables with inferior (thin or even non copper) wires in them. Be sure to use a short and thick cable, preferably one that is sold as a power cable, instead of a charger cable. If you’re unsure whether or not you have a micro USB or a mini USB cable, it’s easy to find out. The image below shows the difference between the two. The mini USB (the fourth from the left) is the wrong one. It’s larger and looks like a trapezoid with its sides pinched in. The micro USB (the third one from the left) is the correct one. It is smaller and also looks like a trapezoid except its sides are rounded outward, other connectors are from apple, and USB-3 and also unsuitable. On the model B+ and Pi 2, the PWR LED now not only indicates that you have power, but also if the PSU has sufficient power, and that the micro USB cable is functioning. If the brownout detector detects a power overload condition (that is, if the voltage drops below 4.65V), it will turn the PWR LED off. When using the Raspbian Graphical User Interface (GUI), it may also display a "rainbow square" icon as a warning. 3) You’ll need a USB keyboard as the minimum input device. If you only use a Linux command mode terminal such as the one shown below, do not need a mouse (though you may, of course, use one if you wish). If you want to use the GUI, you will need an USB mouse. 4) You’ll need a SD card. 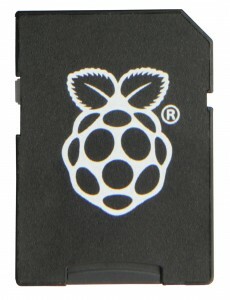 The Raspberry Pi Swag store sells an 8GB micro-SD card in a full size adapter, preloaded with NOOBS. This can be used in any version of the Raspberry Pi, though you will need to remove it from the adapter if using it in a model B+ or Pi 2. You can, of course, load your own SD card, or buy a pre-loaded card from a third party vendor. Please note that you will need to ensure you are using the latest version of NOOBS: this is guaranteed if you buy your card from the Swag store, or load your own card using the latest version of NOOBS on our Downloads page. You should be aware, though, that cards sold by third party vendors may not by loaded with the latest version of NOOBS, which may cause problems for you during the setup process. Whether you want to use the NOOBS installer or a standalone distro image, the minimum size SD card we recommend using is 8GB. This will give you the free space you need to install additional packages or make programs of your own. 5) Almost done! The only other item you have to have (unless you log in remotely) is a monitor. We're going to look at three different types of cables. You only need one of these cables, so make sure to buy the one that fits your TV or monitor and don't worry about the other two. First, let's identify which type of video connection your TV or monitor has. This is NOT directly useable. If you have to connect your Pi to a monitor with a VGA connection, you either need to use a converter box, or Gert's VGA Adapter. 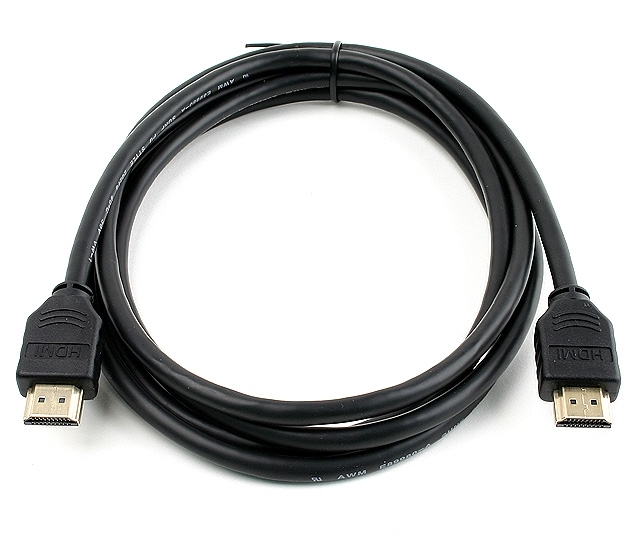 If you have a monitor or TV that supports HDMI, then you can grab an HDMI cable. HDMI provides both high definition video and digital audio in a single cable. Please note that the Raspberry Pi only supports up to HDMI version 1.3a. You can use any version of HDMI cable and it will work, but if you buy a lower version (1.1, 1.2, 1.3), you may find you miss out on some audio and video quality, and if you buy a higher version (1.4) then you will end up paying for features the Raspberry Pi can’t support. If your monitor only has a DVI-D connector, it is possible to buy a cheap ($1.50 to $4) HDMI->DVI-D cable and use the DVI-D input. Be wary of similar looking DVI-A input monitors: these do not work! DVI-D does not provide sound so you will also need to buy a cheap audio cable; you can find more information on audio cables later in the guide. 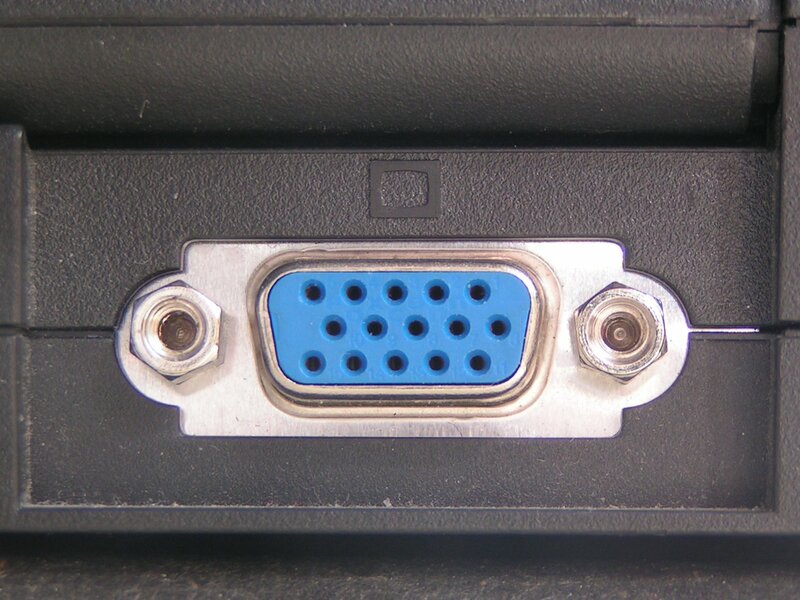 If your monitor only has a VGA Connector you need to buy a cheap HDMI to VGA adapter. It is not possible to buy a cheap HDMI->VGA Cable. If you see a cable that is VGA on one end and HDMI on the other it will not work. An added benefit is that these converters also deliver a better quality audio output than the analog port of the Pi. If you have one of the newer models of the Pi (Pi 2, A+ or B+) which have improved HDMI 5V output power capabilities, you should have no further problems. If you are using the older A or B models, though, please note that some cheaper converters attempt to be powered by the Pi: the older models may not be able to provide sufficient power for these converters to work successfully. It is possible to find HDMI powered adapters online sellers like ebay, but do ensure that you read the comments from buyers, as quality and easy of use does seem to vary. Many of them prevent auto resolution detection by blocking the 5V power from going to the monitor EEPROM: make sure that you buy one which doesn't do this, and which doesn't require manual configuration of config.txt. 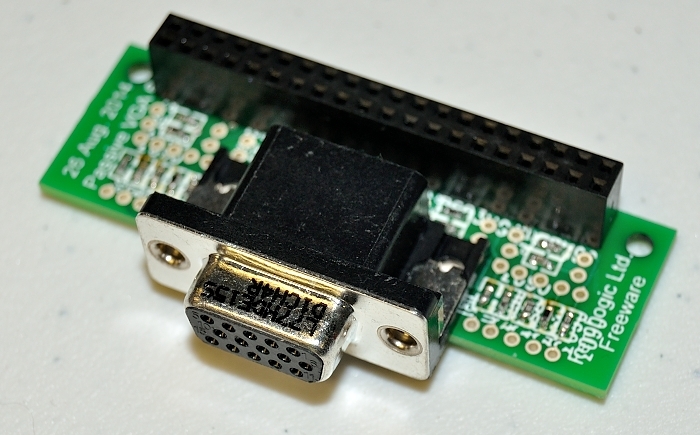 Lastly, our in-house genius, Gert van Loo, has designed a simple adapter for the B+ and Pi 2, and Zero, which he calls "Gert's VGA 666 adapter" http://www.raspberrypi.org/blog/#gert-vga-adapter. This can be used to magically coax a VGA video signal out of the Pi through its 40-pin GPIO. Although with the low-low prices of adapter dongles this solution has lost its value. For more news and information on the you can read the relevant forum thread. One disadvantage of Gert's adapter is that it usurps almost all GPIO pins, and you must enable a special driver that will be built into new versions of Raspbian. If you only have a TV and it does not have an HDMI or DVI-D input, then you’ll need to use the PI's composite video (or A/V) output to connect to the TV's composite input. 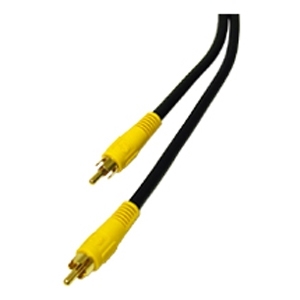 In the USA, these are commonly referred to as RCA video inputs, and they usually have yellow connectors. Unfortunately, composite provides a much lower-quality video connection, and does not support sound, so you will need to use the analog audio output of the Pi. 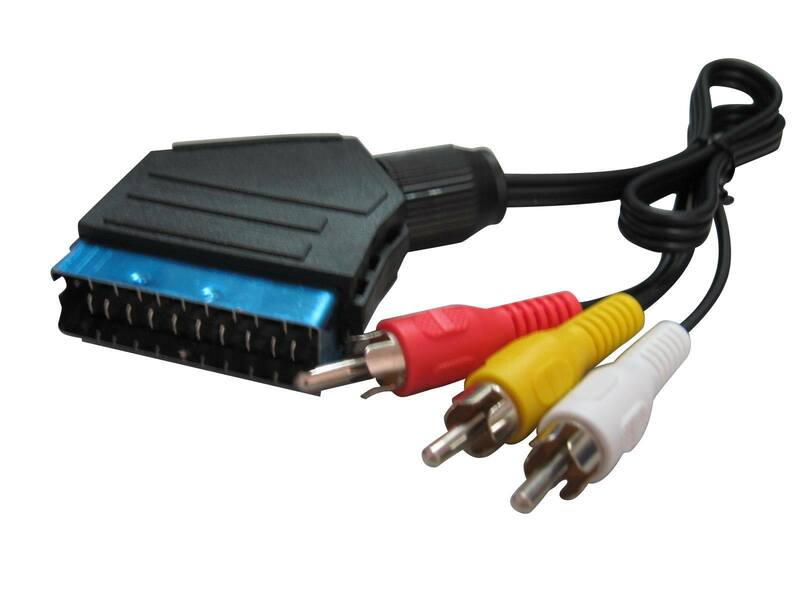 A European TV might use SCART, which does support sound: you can use it with RCA cables and an adapter like this. Make sure the cable is designed for video input into the TV; there are also similar cables designed for video output, which won't work. If the adapter has a switch, set it to input. Please note that there are many cables which look exactly like this one but which do NOT work. This is because the internal wiring varies from one cable to another, and you must ensure you are using a CTIA-Style TRRS cable, one which is correctly wired for use with the Pi. 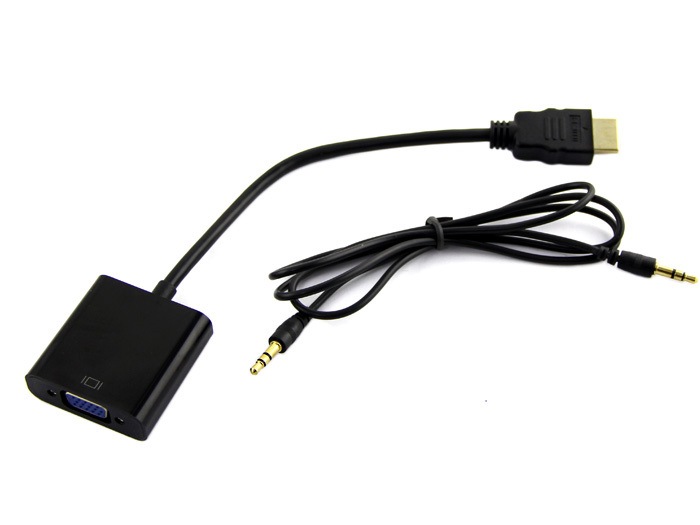 The Raspberry Pi can use CTIA-Style A/V cables designed for the iPod, or for the Microsoft Zune, but can also work with some camcorder cables. The Pi does not work with cables for any of the systems that have pin 1 as GND. As in the picture above, the tables below count, from sleeve (1) to tip (4) of the four pole 3.5mm jack plug. Only Zune Cables are exactly right, because the Pi want to keep left and right audio in the right place, and for some reason iPod cables have those swapped. Note that you can make this cable 100% compatible by switching the two audio channels, that is the white and red RCA plugs. A common cable that is also on the market now and often very cheap, is normally called a "camcorder cable"
Note that you can use this cable by switching the video and right channels, that is the yellow and red RCA plugs. When using a "camcorder" cable, try plugging in the red RCA plug of the cable into the yellow RCA receptacle of your TV and see if you get a picture, if so you can put the yellow plug in the red receptacle, and the white plug into the white receptacle. Note that no cable you try to use should be able to damage your Pi, so you should be able to try them out in safety. The iPod-compatible cable below has also been confirmed to work, it does not require the camcorder swap. This one has been reported to work. If you use the composite (RCA) cable, or the HDMI to DVI cable, for video and you want sound, you’ll need to buy a male to male 3.5mm audio cable. 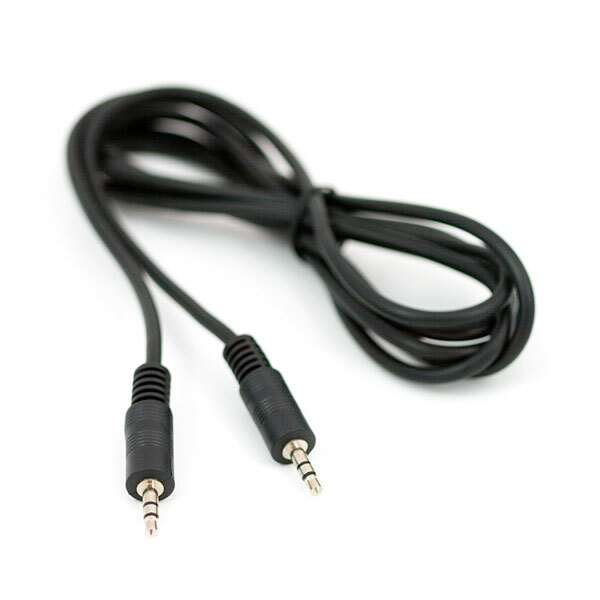 An alternative solution would be a set of external computer speakers: if they already have a cable that ends with the male 3.5mm (headphone jack) connection then you won't need to buy this cable. If you have the model B, B+ or Pi 2, and you want to hook it into your home network, you’ll need to grab an Ethernet cable. If you want to connect more USB devices than you have ports you’ll need to grab a USB hub. These are much less neccessary on newer models, but still applicable. USB hubs can be passive (they plug into a usb port and that’s it) or active (they plug into a usb port then connect to a power supply). The first image below shows a passive hub, and the second one shows an active one. If you want to plug in a device that takes a lot of power, like a hard drive, and you are using one of the older models, you’ll need to use an active hub. The model B+ and Pi 2 are capable of providing more power to the USB ports; if you just want to plug in a card reader, a USB stick, or a Bluetooth or WiFi adapter then you should be able to get by with a passive hub. However, some WiFi adapters are so power-hungry they will need a powered hub on a newer model. 9) Anything else you want! For the B+ and Pi 2, and even for the Zero, you can also use a new kind of expansion board called a HAT (Hardware Attached on Top). These are universal expansion boards which can "announce" themselves to Linux so it knows what drivers to use for them. There is an almost endless supply of additional parts and accessories for your Pi: the only limit is your imagination! Double side note, if someone sees a more attractive picture of an active hub please send the url my way. I chose this one specifically because it displayed the usb and power connection, but it is *ug-ly*! I'd love to replace it with a better image! 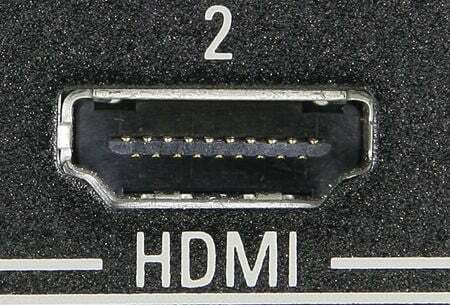 Perhaps a little addition to include HDMI to DVI connectors…that can be a little complex for the average user. I can see this being displayed nicely as a Photo Album type view (with the text below), must be some free place which would host it in that way. Will need a final picture of a "Happy User with Their Pi"
Read Online or Download for Free. We have tried uSD cards at work on alpha and beta boards and they have generally worked. I'm not sure where the uSD cards don't work thing has come from - I think it comes under the same heading as *some* SD cards don't work i.e. some uSD cards don't work. There has also been some recent kernel software fixes for SD cards, but I am not specifically sure what the fix is for. I'll try and find out tomorrow. Great guide, I'd also suggest making the mini/micro picture even clearer by sticking a big red cross over the mini connector (making sure the end is still visible of course). I agree about the uSD card comment, the adaptor is purely passive rerouting, it's much more likely to be generic card device issues than anything specific to uSD cards. Be aware that certain types of people will see the DOS prompt thing and take this as a binding promise that the Pi will run Windows. I've been lurking here long enough to be almost certain of this! Maybe around shipping time the guide can be put on its own sticky. I've been lurking here long enough to know that even if you tell people it won't run Windows they will take that as an indication that it will. I might be wrong, but I thought I read somewhere that the R-Pi hardware does support HDMI 1.4, it is just that the drivers to make it work (HDMI-CEC) don't exist yet? Can anyone else verify this? Actually it looks like HDMI 1.4 adds ARC and HEC not CEC which is already available in HDMI 1.3. In which case the OP is probably correct as I cannot find the article on HDMI 1.4 support. Perhaps that was a figment of my imagination? Just because we all have missed it so much ! To a person with a hammer, everything looks like a nail. I found the source of my possibly erroneous information, it was from the elinux site. "HD TVs and most LCD Monitors can be connected using a full-size 'male' HDMI cable, and with an inexpensive adaptor if DVI is used. HDMI versions 1.3 and 1.4 are supported, and a version 1.4 cable is recommended. 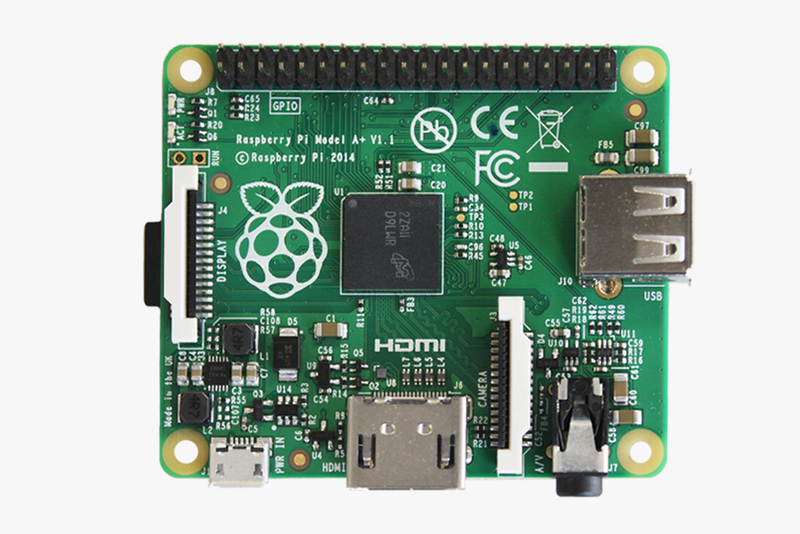 The RPi outputs audio and video via HMDI, but does not support HDMI input." Is this definitely wrong then? Hundreds of posts are going to be made on how to use it with a Rpi just like windows 8 / can I add more ram etc.. questions. It's all your fault if they do! So, could I get a Model A and use an HDMI 1.4 cable to get ethernet and display? The HDMI 1.4 Cable with Ethernet has an additional, dedicated data channel and functionality is only available if both linked devices are HDMI Ethernet Channel-enabled. For the uSD card debate, I took my info straight off their wiki located here. I know that it's a passive adapter, but when the designer of the OS says that there's a problem for some reason then I tend to trust them As I stated though, no such issue has been observed with the Debian distro. If this was a typo made by whoever made the wiki page, then I'll change the post once we can get some confirmation on this. For the HDMI issue, the R-pi is HDMI 1.3a I guess someone decided to tell people to buy 1.4 just to be ahead of the trend, but 1.3a is the correct version it is using. Like I said though any version of HDMI will *technically* work, it's just anything below 1.3 might not take full advantage of all features, and anything above 1.3a will have you paying for features you don't use/need. Complete noobs never saw a DOS prompt and BTW it's called 'command prompt' IIRC (have Dutch W7 myself). Complete noobs never saw a DOS prompt and BTW it's called "command prompt" IIRC (have Dutch W7 myself). Ah, dos prompt is the "old school" term for it, but you are correct nowadays it is referred to as the command prompt. And even most who have never used the prompt are still familiar with the sight of it. At the very least it provides a basic concept the fact that they need a mouse if they want to use anything beyond just a simple text interface. I've certainly called it a DOS prompt since DOS 3.0. My point was that if you say 'DOS prompt' to a 'noob' he/she says 'can't find his Facebook page'.